In this article, we have collected the most replicated interior design trends. Some of them have always been considered tasteless, some became old with the development of new technologies and materials. Others simply became sick and tiring due to them being used too often used in appropriate and inappropriate situations. Take a look at our list – if the picture is painfully familiar, it's time to change something! Green sofas, pink pillows, turquoise a wardrobe and bright yellow frames - not so long ago this combination was so modern! This cocktail blew up the consciousness in itself. But when this was placed on a white background it became a manifestation of the new generation. The most advanced designers and decorators mixed vivid designer furniture and posters with Marilyn Monroe's lips. They justified this bizarre combination of acid tones as "pop art". But calls to "not be afraid of color" quickly tired both developers and customers of such trendy interiors. We advise you to leave you this recent fashion trend in the past and keep eyesight and nerves in order. Huge photo prints originated as a glass backsplash in the kitchens, then spread the bathrooms and powder rooms and now even use on ceilings. The deceptive attractiveness of this design is due to it being so unnatural. The objects in the photo look exactly like in nature, which we often try to incorporate in our otherwise urban style. But on the other hand, how can it resemble anything natural if fruits and berries are larger than a human head? 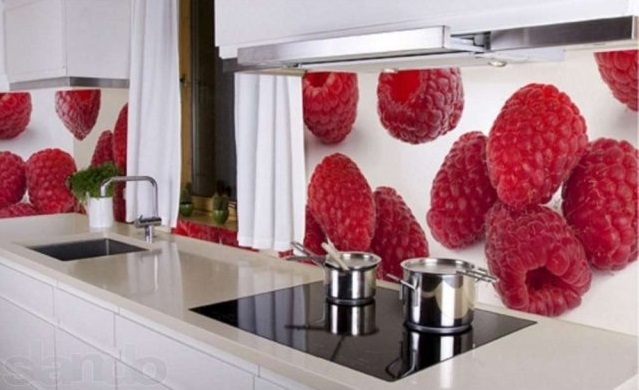 Beware, this raspberry may be able to eat you instead! 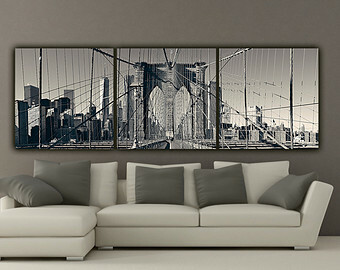 Views of the world capitals on the room walls became a huge hit in home design over 5 last years. Black and white views of Manhattan skyscrapers or the Golden Gate Bridge is cool and elegant and seemed very simple and logical solution. And of course, the murals always make space wider. And perfectly combined with the above-mentioned bright colors. The scheme was so simple that appeared in print immediately. This trend became so popular that it became an easy design in all student dormitories. Maybe I should break the pattern? And hang on the wall photo of the same Venice – but normal size. Maybe even in the frame. In the early the two-thousandth owners of large houses and apartments wanted an Empire, art deco and Baroque. Historical styling combined with contemporary luxury predominated in interior fashion. Even though those budget limitations lacked rhinestones and gold, but it was compensated with a lot of crystal chandeliers, thick rugs and peculiar molding. The ridiculousness comes when all this splendor was somehow fitted in small homes or condos. 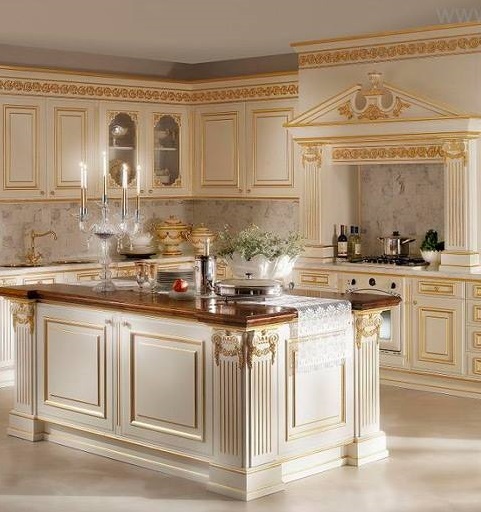 Perhaps the strongest impression was made by kitchens in the style of "expensive-rich". Today from "chic" furniture remained perhaps the same chandeliers, carpets and moldings. But fortunately, the designers and owners of regular houses using them separately. It is silly to create an imaginary atmosphere of the Palace without an actual Palace. And this is the right approach! sleep on the carpet, not far Eastern monks to eat off the floor. And we apparently can get tired of wrinkled colored silk with beads especially if they wrapped around all the walls and ceilings. 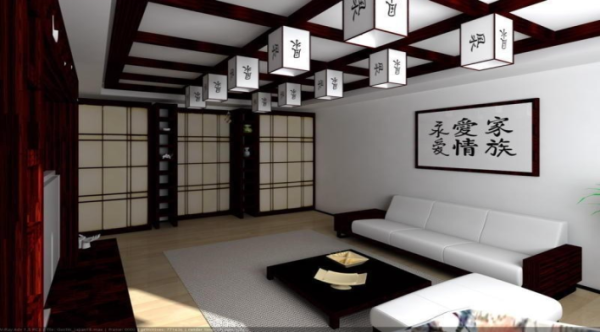 However, splitting oriental interiors without breaking a bank and losing the image can be easy and simple. For Example, rugs with elephants and Arabic lanterns will look great in rooms with modern eco-style. We had to go through that. The typical house does not leave the owners much room for imagination. But the help of drywall homeowners felt like real architects. The plasterboard has given the opportunity in a small apartment to build a new reality, a house in the house. Multilevel ceilings with all sorts of lighting, niches, arches, built-ins – their popularity were fantastic. But finally subsided. It was found that instead of being creative they were just artificial and frankly, quite useless. And what is behind them - bricks, cinder blocks, concrete slabs are truly beautiful, unlike the smooth drywall simulation. 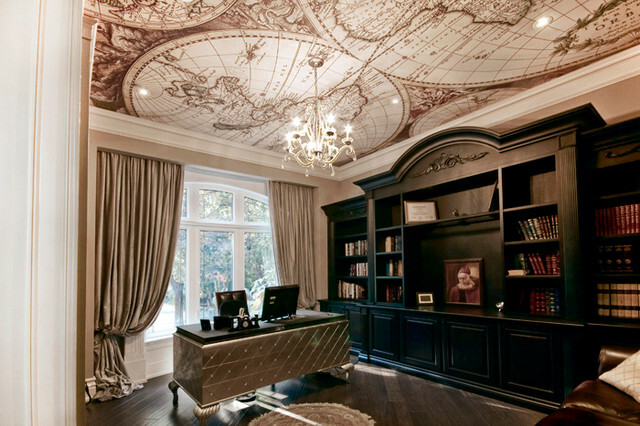 All the same things that we talked about built-ins also apply to ceilings- an imitation of smooth coating, shiny and bright, solid color or with printing. The photo prints in principle became too much. From mugs to dresses everything is covered in photos. But the most vulgar and mediocre picture print for some reason goes on the ceilings. The most innocent options are huge butterflies and flowers. On the second place by popularity are galaxies and star clusters, but in such way that even Hubble telescope never sees that. Another popular prints are parts of old masterpiece paintings, but usually brightly coloured with a modern twist – here we have no comment. To this date one of the most common mistakes made by homeowners in decorating is to use miles of jacquard and organza fabric with thick and twisted folds. This window fashion is known to visually eat up space and light from any room. Further, they really torment the eyes with the excessive use of lambrequins and covers. 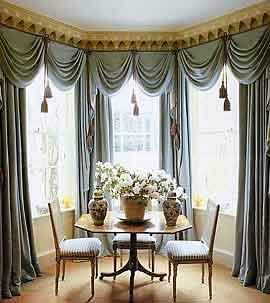 Draperies on windows should be in light fabric – both colour and texture. Also, if you need to cover windows during the darker hours it is advisable to use roman shades or panels made of linen. Ombre, gradient, or degrade is an overdue trend that really influenced the minds of designers a couple years ago. However, it never was popular in do-it-yourself projects mainly because of the great complexity in the performance. Even the masters fail to provide smooth transitions of shades. To many it made more sense to draw on the wall a few strips of different colors in the same range than trying to recreate a watercolor-like blur where it cannot be. By the way, this is exactly how they achieve the ombre effect on furniture – different sections or boxes are covered with an even layer of paint of various similar shades. Ombre on fabric looks very natural on silk and cotton due to the use of natural dyes. However, when trying to recreate the "magazine like" look in real life, what we usually left with is a strange scribble that I would want to immediately paint over with one calm color. 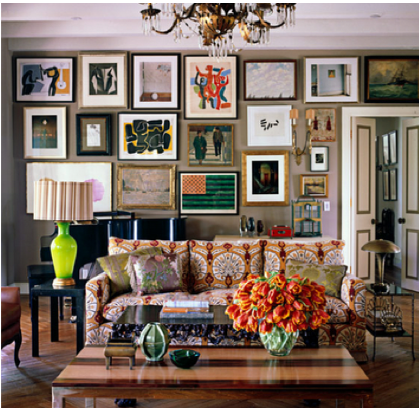 Surprisingly, lots of people have a strong urge to use every foot of their floor or every inch of the wall space. To them, even a small piece of the empty wall looks unbearable. Those are the people that overload their walls with picture frames, stickers and posters with primitive graphics (that look like a work of a four-year-old, but lack the sentimental value). The same people need to occupy every shelf, build in or console with a sculpture, empty silver box or even plastic plants. All those items eat up your space and only show your lack of creativity. 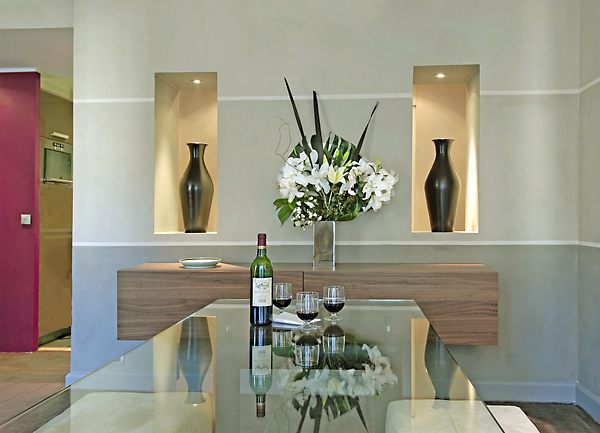 The empty wall can be made less empty with a use of texture rather than quality.